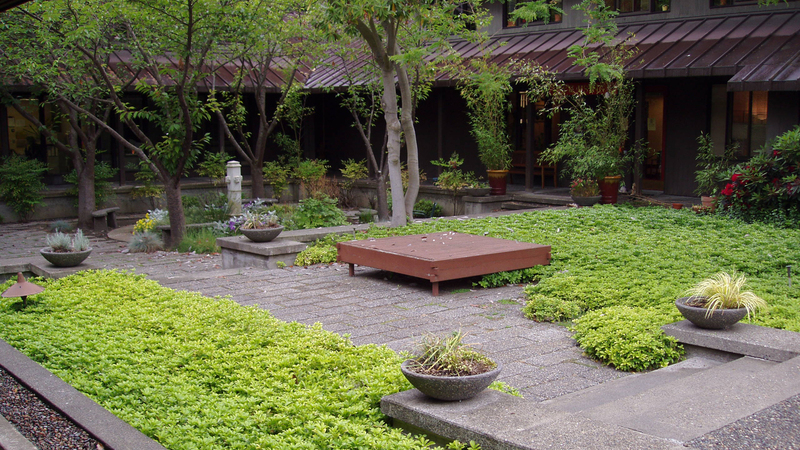 The son of a nurseryman, Haag was born in 1923 in Kentucky and studied landscape architecture at the University of Illinois, Urbana-Champaign, where he met Stanley White and Hideo Sasaki. Transferring to the University of California, Berkeley, he worked summers for Sasaki, receiving his B.L.A. in 1950. He earned an M.L.A. from Harvard’s Graduate School of Design in 1952, working for Dan Kiley the summer before. His Fulbright Scholarship sent him to Kyoto for two years, and subsequent design work displays influences from this period. 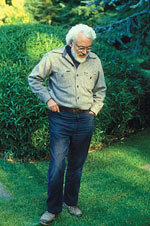 After two years working for Lawrence Halprin in San Francisco, Haag established his own practice. 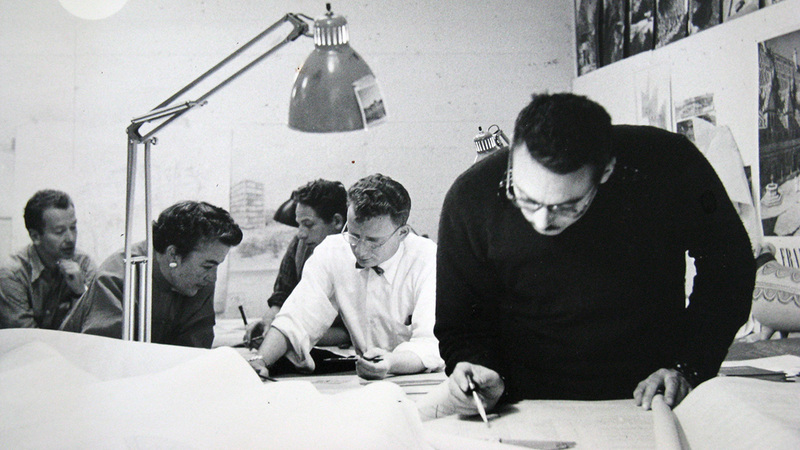 In 1958, Thomas Church recommended Haag to found the landscape architecture department at the College of Architecture and Urban Planning at the University of Washington. As a teacher and designer, Haag emphasizes direct contact with sites and informed intuition. Deeply committed to ecological precepts, he has also expressed interest in the social and psychological impact of a site. 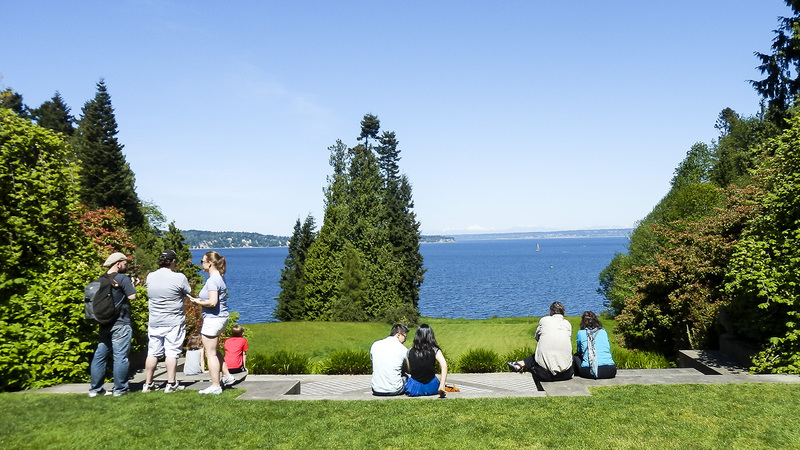 Of his more than 500 projects, the two most prominent are Gas Works Park on Lake Union in Seattle and the Bloedel Reserve on Bainbridge Island in Puget Sound. 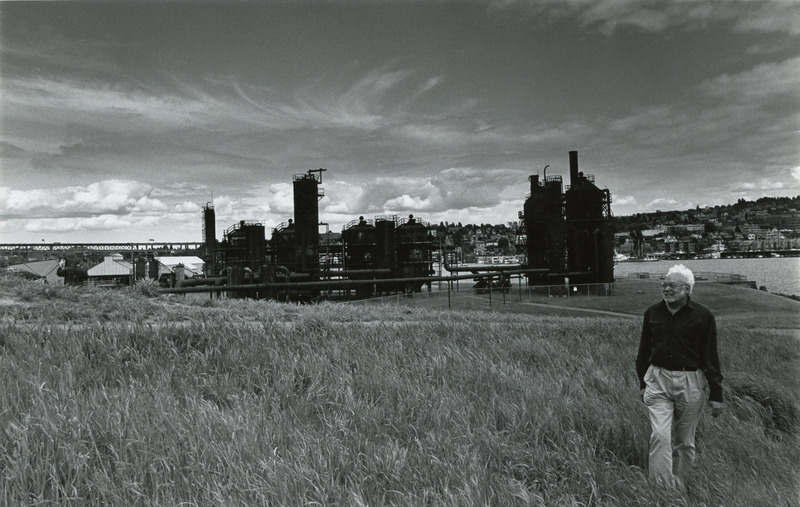 At Gas Works, Haag embraced the site’s industrial history and embarked upon the country’s first public soil remediation experiment. Haag is the only person to have received two Presidential Awards for Design Excellence from the American Society of Landscape Architects. Haag officially closed his firm, Rich Haag Associates, on June 30, 2016. He passed away on May 9, 2018. Richard Haag was born in Louisville, Kentucky, the oldest of six children. His father, who owned and operated a nursery, introduced him to fundamental aspects of landscape and ecology. When he was 18, he volunteered for military service. 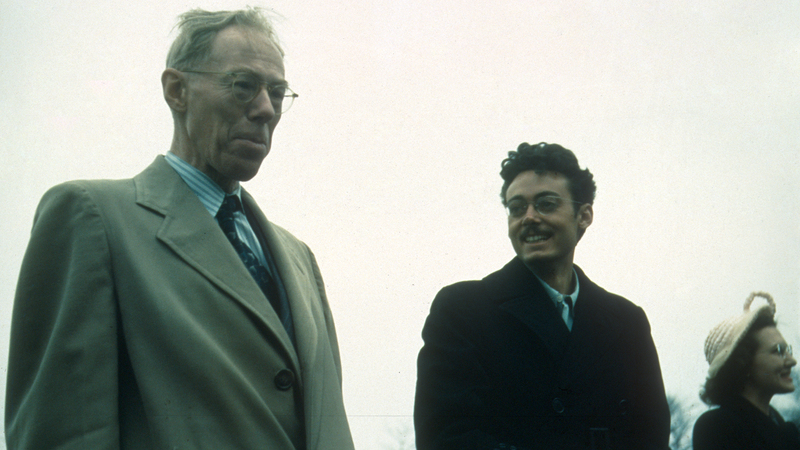 At the end of the World War II, Haag enrolled in the landscape architecture program at the University of Illinois at Urbana-Champaign. There he met Professor of Landscape Architecture Stanley White, who introduced students to ecological issues on local field trips. In 1949, Haag took two important and influential trips. The first was with White to the east coast, where the two visited towns, parks, arboreta, museums and rural landscapes, including many places designed by the Olmsteds. The second trip was with fellow student Hideo Sasaki. They drove across the country from Illinois to the West, observing and discussing vernacular landscapes and towns. They formed a lasting friendship and shared a deep impression of the virtues, dilemmas, and landscape needs of modern Americans. Haag transferred to the University of California, Berkeley, where he received a Bachelor of Landscape Architecture degree in 1950. 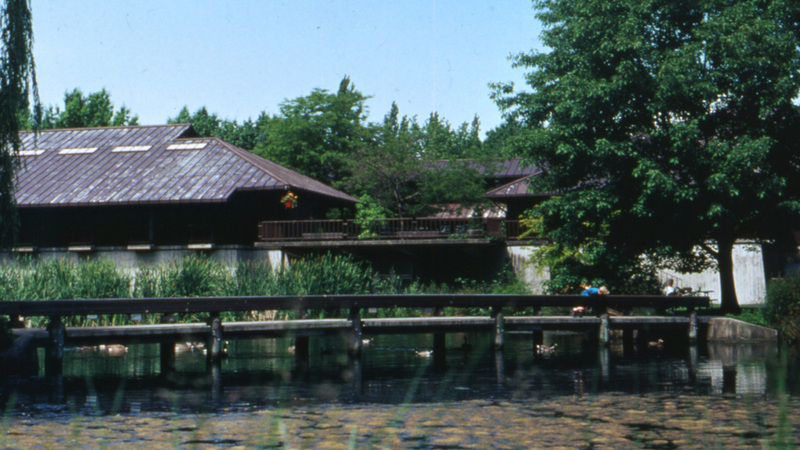 He worked for Sasaki during the summers of 1949 and 1950 and for Dan Kiley in Vermont during the summer of 1951. 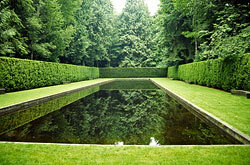 Haag then attended Harvard, receiving a Master of Landscape Architecture degree in 1952. After graduation he relocated to San Francisco, but soon learned that he won a Fulbright Scholarship to study in Kyoto from 1954 to 1955. The influence of this time in Japan, both visually and philosophically, can be seen in his subsequent design work; and the principles and spiritual tenets of Zen Buddhism and Taoism deeply inform his work. Returning to the United States, Haag worked for Lawrence Halprin from 1956 to 1957 in San Francisco. In 1957 he left Halprin’s office to establish his own practice in the Bay Area, producing several award-winning projects. 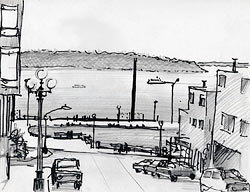 In 1958, Thomas Church recommended Haag to the University of Washington in Seattle, where the College of Architecture and Urban Planning intended to create a Landscape Architecture Department. 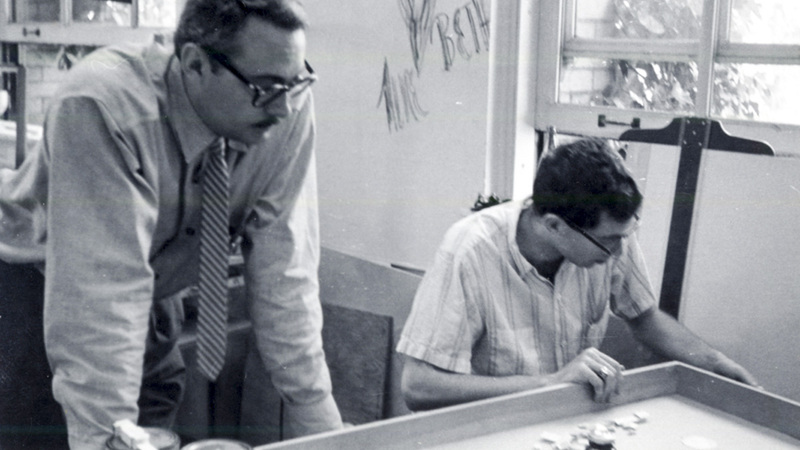 Until the new department was established, he taught site planning and studio design to architectural students. The department officially opened in 1964, with Haag at the helm, and has since grown into a nationally recognized program. Since 1958, Haag has maintained a small professional office that is an intense and lively studio enterprise. Preparing numerous landscape master plans and district plans, Haag proposed designs with tree-lined pedestrian ways, squares, and quadrangles. Faced with limited budgets, he employed ordinary materials and simple furnishings, insuring pragmatic but effective horticulture as well as long-term strategies for structuring the landscape and spaces of these campuses. With his quiet manner, Haag convinced architects and clients to invest their small budgets into long-term landscape solutions that often appeared simple and sparse in their early stages. Years later, strong masses and ranks of trees characterize these sites, giving them a handsome quality. 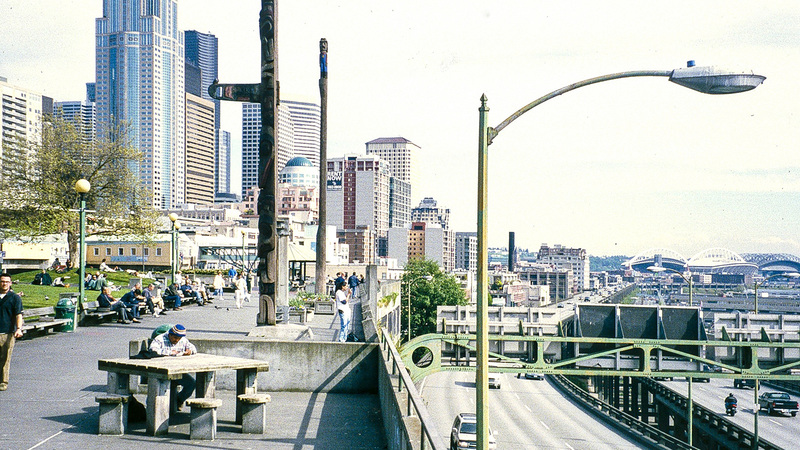 Between 1958 and 2000 Haag participated in over 500 built projects, the majority of which are located in the Pacific Northwest. 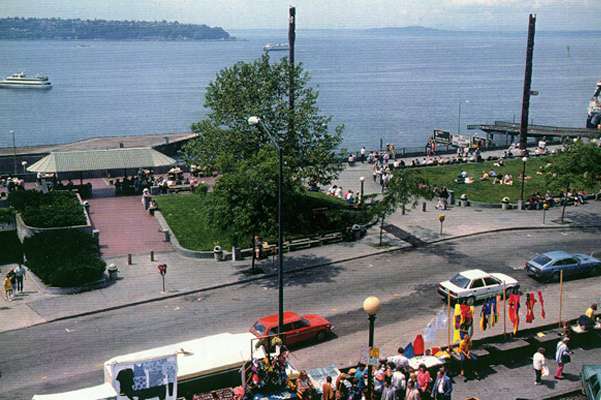 The two most prominent projects are Gas Works Park (1971-1988) on Lake Union in Seattle and the Bloedel Reserve (1979-1984) on Bainbridge Island in Puget Sound. 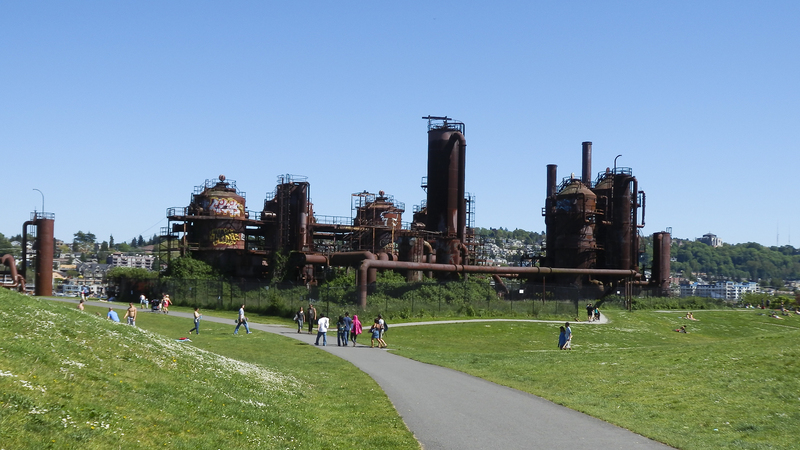 The significance of Gas Works Park lies in its prescient concept and uncompromising realization. Although officials and citizens called for the former plant to be removed, Haag convinced them to keep a considerable amount of the industrial apparatus. He embraced industrial ruins, integrating them into the park design, rather than attempting to erase or beautify them, accepting them as a valid portion of history worthy of retention. He also embarked upon what was possibly the first soil remediation experiment for a public space in the country. His method of using plants and natural biological processes, original and highly controversial at the time, are now accepted standards. The Bloedel Reserve is located in a forest near Agate Point on the former estate of timber baron Prentice Bloedel. Haag created a series of landscape events, rooms, and places, rich in material and spiritual properties. 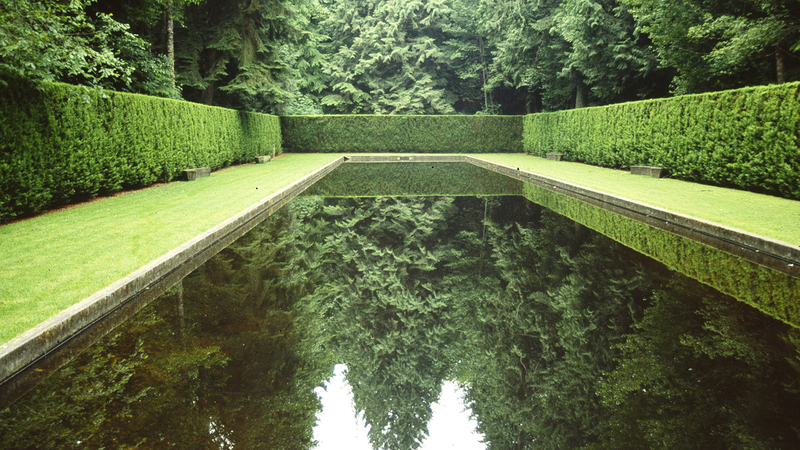 The highlight is the Reflection Garden where twelve-foot-high clipped yew hedges form a perfect rectangular clearing among the Douglas fir trees. A long shallow basin filled with groundwater reflects the surrounding trees and sky. 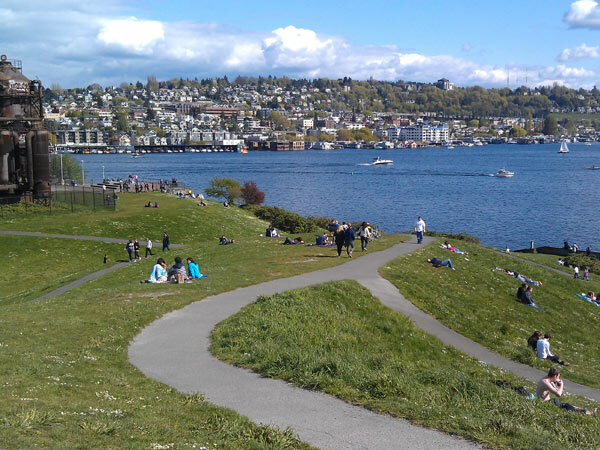 Strikingly different is Steinbreuck Park, located immediately north of the Pike Place Market in Seattle. Working in collaboration with architect Victor Steinbreuck, Haag developed a small but socially important park atop a garage. It is a remarkably abstract and introspective design stripped down to basic typological components and emblematic elements. As a teacher and as a designer, Haag places a great emphasis upon spirit, feeling, direct contact with sites, and informed intuition. His design vocabulary is a self-imposed limited one. Haag’s frustrations with the commercial nursery industry led him to begin his own nursery in the 1980s. The most fundamental aspect of his work has consistently been a concern for landform and sculpting of the land. His predilection is for prime forms, clarity of shape, and simple and direct plan organization, as well as a Modernist abstract imagery. He combines simple and direct plan organization with an encyclopedic knowledge of plants and horticulture. In some projects, he juxtaposes native flora with contrasting Asian or other ornamental species. Emphasizing the natural and physical dynamics at work in the world and on his sites, Haag realizes that his works are cultural productions, made by and for society. Haag is a Fellow of the American Society of Landscape Architects (ASLA), an Honorary Member of the American Institute of Architects, and a Resident of the American Academy in Rome. He is the only person ever to have received two Presidential Awards for Design Excellence from the ASLA, one for Gas Works Park, the other for the Bloedel Reserve. In 2003, he received the ASLA’s Medal for lifetime achievements and contribution to the profession. He was honored by the Harvard University Graduate School of Design with a symposium and exhibition in 1996 followed by the publication of the book Richard Haag: Bloedel Reserve and Gas Works Park. Haag officially closed his firm, Rich Haag Associates, on June 30, 2016. He passed away on May 9, 2018. Fabris, Luca Maria Francesco, Richard Haag Associates: Nature as a Lover, Maggioli Editore, Santarcangelo di Romagna, Italy, 2010. Kreisman, Lawrence, The Bloedel Reserve, Gardens in the Forest; the Arbor Fund, Bloedel Reserve, Bainbridge Island, Washington, 1988. 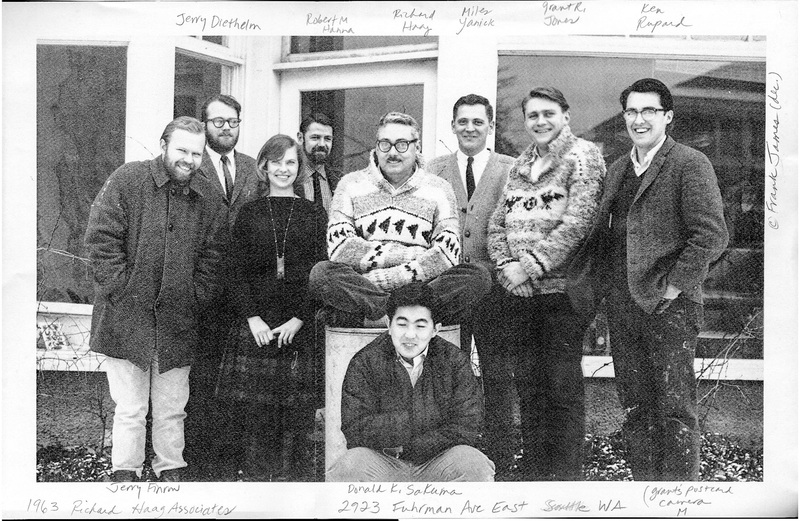 Rozdilsky, John, “Profile: Richard Haag”; Cascadia Forum; vol. 1, no. 1, October, 1993. Saunders, William, ed., Richard Haag: Bloedel Reserve and Gas Works Park; Princeton Architectural Press, New York, 1998.